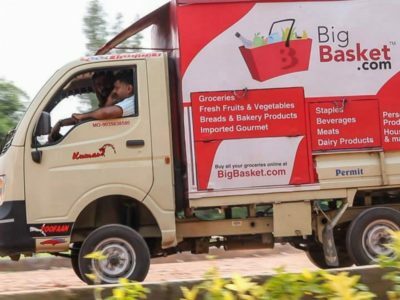 Online food and grocery portal Bigbasket has raised Rs 45 crores of venture debt from Trifecta Capital. The funds will be used to meet the CapEx requirements of the Company including setting up new warehouses, strengthening the cold chain and setting up facilities for reprocessing of Fruits & Vegetables. “We have a clearly identified use case for debt. We are present in 25 cities and continue to optimise our supply chain. A significant part of our business is fresh fruits and vegetables, the bulk of which is sourced directly from farms. It is crucial that we maintain the quality right up to the last mile. We are in the last leg of a pilot which will ensure that all fruits and vegetables are maintained at constant temperature and thereby improve the shelf life of the produce by almost ten days. This will be done using large-scale equipment such as pre-coolers and ventilators. Funding such CapEx requirements is best done through debt.” said Hari Menon, Co-Founder, SuperMarket Grocery Supplies Pvt. Ltd that owns Bigbasket. Founded by Rahul Khanna and Nilesh Kothari, Trifecta Capital provides venture debt to new age businesses across different stages of their development. “Trifecta’s strategy is to provide customised debt solutions to companies based on their specific business needs. We are also able to connect our investee companies to traditional businesses and banking channels. Several of our investee companies have benefited from leveraging our networks. Equally, our LPs are eager to find ways to collaborate with our investee companies. We are constantly looking for innovative ways to add value to our investee companies”, said Rahul Khanna, Co-Founder of Trifecta Capital.